The big question around “Fantastic Beasts and Where to Find Them” has been whether it will make enough at the box office to justify Warner Bros.’ already-promised five-series spinoff franchise. Three-day totals for “Beasts” account for a strong second weekend drop of only 39.4 percent, compared with the “Harry Potter” prequel’s $74.4 million first weekend debut. “Fantastic Beasts” is not far behind 2011’s “Harry Potter and the Deathly Hallows,” which earned $49.1 million in its second weekend for a rank of 42. And that film’s second-weekend drop was a much steeper 72 percent. The best second weekend for a “Harry Potter” movie is 2001’s “Harry Potter and the Sorcerer’s Stone,” which ranks at 22 with $57.5 million — and an impressive 36.3 percent drop. While Warner Bros. superhero movie “Batman v Superman: Dawn of Justice” ranks 35 on the list with $51.3 million, its second weekend experienced a steep 69.1 percent decline from its $166 million first weekend — representing the low-end of second-weekend performances for studio tentpoles. The percentage drop for “Fantastic Beasts” is in line with the highest domestic-grossing movie of all time: “Star Wars: The Force Awakens.” In fact, it narrowly beat the 2015 Disney-Lucasfilm’s hit, which came in 39.8 percent lower on its second weekend with, albeit, a much higher sum of $149.2 million, compared with its massive $247.9 million domestic opening. 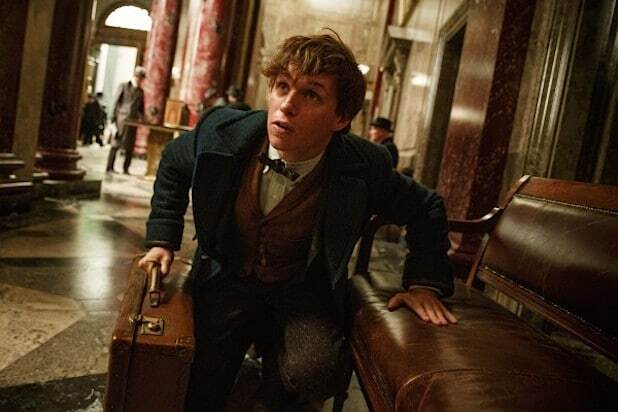 “Fantastic Beasts” has also been making suitcases full of money overseas, earning $132 million in 67 markets this weekend alone. Its international total now stands at a whopping $317.5 million and its global cumulative is now a dominating $473.7 million — already nearly halfway to the billion-dollar mark and it’s only week two. 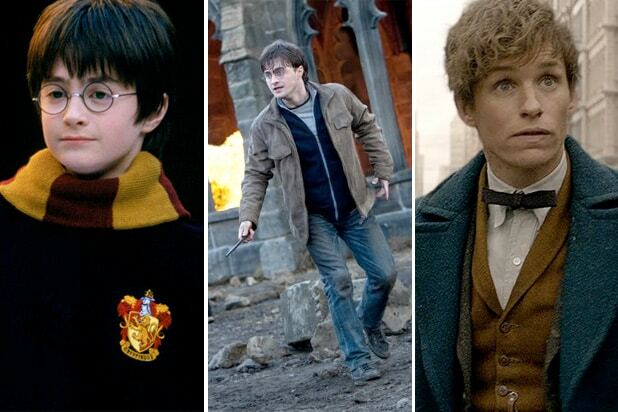 All in all, the David Yates-directed film starring Eddie Redmayne as British “magizoologist” Newt Scamander in 1920s New York has had an assuredly strong start to launch its next four movies. The already green-lit second film in the “Harry Potter” spinoff series will be set in another major world city and will feature different magical creatures. “Fantastic Beasts and Where to Find Them” is based on the J.K. Rowling book of the same name, which was a mock textbook about magical creatures. (She also wrote the screenplay.) In the “Harry Potter” series, the book is required reading for Hogwarts students.